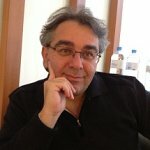 Chairman elect and founding member of the NoR HGT & LUCAAssociation(http://www.nor-hgt-luca.com). Management Committee representative for COST Action “ORIGINS (Origins and evolution of life on Earth and in the Universe”(http://www.cost.eu/TD1308). Founder of the unofficial Greek Astrobiology Association(http://www.astrobiology.gr). Member of the International Geochemical Society(http://www.geochemsoc.org/). Founding Member of the Research Centre for the Culture and Environment(RCCE),a non-profit organisation established in Athens, Greece (http://www.ekeppol.gr/). Validated by the European Commission, 7thFramework programme, with PIC 986892066. Manager of the “Martian Meteorites” groupin Linkedin©. Member of the Astrobiology Future Initiative.